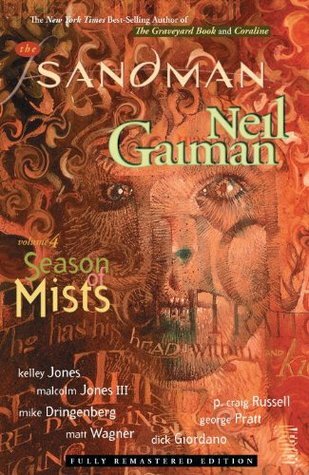 Gaiman is a master of his craft, Seasons of Mist was quite possibly one of the most twisted and spectacular parts of the series. This was the first time you had a gathering of all the prior major characters, which I found fantastic considering I had the prior notion that the other parts of the series were stand alone stories. I thought it was interesting that Gaiman introduced some mythical creatures, and even more interesting that he again drew upon Nordic mythology with the use of Odin, Thor and Loki, which were major characters (Thor the exception) in his novel American Gods. I think everyone knows I love the Sandman series and this one just solidified that viewpoint. Gaiman's Sandman series is truly a masterful piece of artwork and I recommend this for anyone looking to push their envelope into a genre, that may be completely new. You will not be disappointed.